Last year, the Stone & Wood brewers had a play with the red ale, Jasper, that probably gets the least attention of all beer in their core range from drinkers. 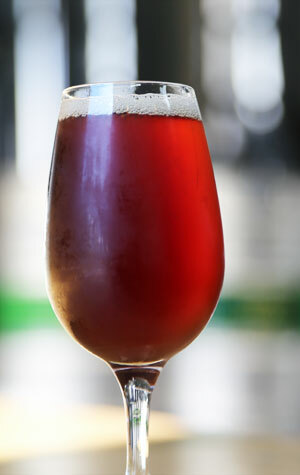 Back then, the brewers – inspired fires in the local cane fields – gathered some local paperbark and set about smoking some malt, then added some traditional German smoked malt and worked it into the original Jasper recipe to which it added a "distinct smoldering character". This time around, the reworking has a similarly poetic inspiration, namely the smell of burning wood lingering on "your favourite flannelette shirt" after an evening under the stars. What that translates to is a serious upping of the smoked malt with half of the grain used for the beer coming beechwood smoked. They tell us the outcome is a beer to which a "rich and thick, smoky character" has been added to the underlying beer. And, while we're yet to taste it, past experience of beechwood smoked malt suggests said smoke could well have a touch of bacon about it too.